I’m sure you have memories of trying to get your children to take just one bite of pasta primavera, a relatively-mild dish whose abundance of vegetables would provide nearly their entire daily requirement. It’s also possible that you’re still struggling with this. If you belong to the latter group, Beth Bader and Ali Benjamin’s book The Cleaner Plate Club is the answer you’ve been looking for. This isn’t a book with an exclusive focus on “kid food” palates. It is filled with tips and recipes for moving away from giving into your child’s desire to eat all-white meals (a carb overload of plain pasta and sandwich bread) and that foster a life-long love of eating instead. Leading off with the Ruth Reichl quote “Pull up a chair. Take a taste. Come join us. Life is so endlessly delicious”, this book presents itself as a push to get families to engage with one another over meals that everyone appreciates and enjoys. 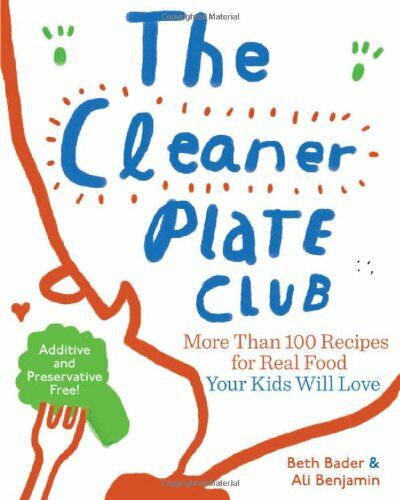 The Cleaner Plate Club begins with a comprehensive look at why children eat the way they do and how parents can work with this to encourage them to eat a variety of delicious and healthy foods. It aims to equip readers with the skills to be inspired by the local produce at farmer’s markets and the knowledge essential to navigating supermarkets, both of which ensure that you are making informed food purchases. The recipes themselves highlight vegetables, outlining their wide array of nutrients, explaining how to select and store them, followed by a simple and quick recipe like Roasted Asparagus or Cider-Braised Brussels Sprouts. You’ll be set up for success with easy, weeknight recipes like Pumpkin-White Cheddar Soup or Lamburgers in pita, which all take less time than relying upon the drive-through window. The writing and goal of The Cleaner Plate Club is unpretentious; it is simply focused on allowing children to enjoy well-made, home-cooked meals with their family. Sherri Brooks Vinton opens Put ‘em Up! 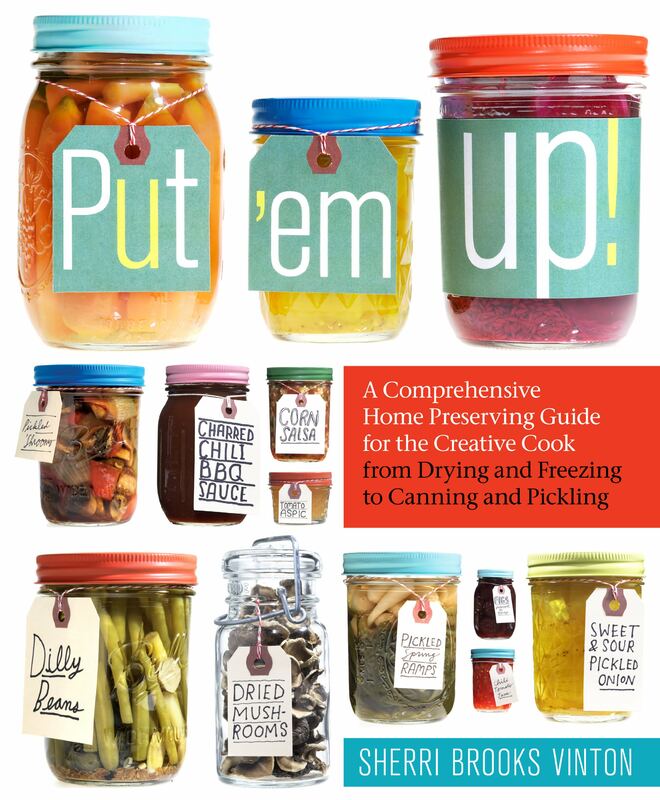 with the dedication: “For all of the home cooks who nourish family and friends, culture, and tradition.” Because of this beginning, I know that the food preserving cookbook is entirely consistent with the Heirloom Meals goal of reflecting upon the past with the recipes we make today. You open the book to colorful backdrops and prints that do not overwhelm the eye but rather complement one another and add to the excitement and energy of the text. Vinton organizes recipes by the ingredient she wants to showcase, from apples to watermelon, discussing the different varieties that work best with specific techniques and making storage recommendations based upon the fruit or vegetable’s particular qualities. She goes into detail about blanching, making granita, categorizing jams and jellies by the fruits’ pectin levels, and illustrates each step with drawings of their technique. Her recipe for Curried Cauliflower brings color and flavor to a vegetable often seen as boring in appearance and bland in flavor. The Roasted Garlic is perfect to have around for adding to goat cheese to create a dynamic spread or eaten simply on its own atop a lightly-buttered slice of toast. Vinton attributes the recipes’ development to both her Polish and Southern roots, basing the flavor combinations on the traditions of both these backgrounds. However, it is working with her dual heritage as well as the collaborative effort of both creativity and science that makes these preservations delicious and safe to eat. This book is exactly what you need to harness the beauty and warmth of summer so that you may enjoy it all winter long. Cookies are often described as the single baked good you cannot mess up. 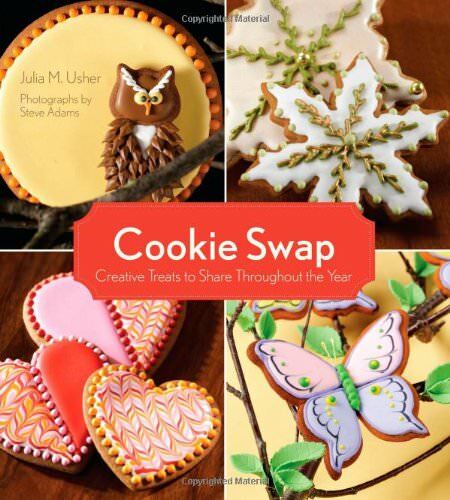 With all of the variety in technique and design, I’m sure there’s more than a few places where you could go wrong, but all of these options allow for freedom and ingenuity in your cookie repertoire - which is exactly what Julia Usher takes advantage of in Cookie Swap. Her creations are colorful, ingenious, and almost too-beautiful-to-eat. Detailed photos complement the recipes, enticing you to make her Lemon-Thyme Bonbons and eat them all yourself. Julia also warns you with the complexity level of the cookie, the amount of active time the recipe requires, and a few prep tips, so you know what you’re getting yourself into before you start. Recipes are categorized by reasons to celebrate, with eight different swaps that designate appropriate cookie varieties for a garden party and pairs these with adorable DIY save-the-dates and crafts that continue upon the theme. I have the “Affair of the Heart” theme marked off for a Valentine’s Day swap (I can’t wait to make the Gingerbread Valentine Invitations come February!) as well as the “Deck the Halls” party to give some glitz and glam to the holidays, because who could resist Eggnog Cheesecake Streusel Bars? Cookie Swap covers all elements of a party, from the decorations to the treats. With all of her amazing confectionary creations, Julia Usher proves the point that cookies can (and do) make the party. What could be more fun than gathering with friends and family to sample delicious pies? Gina Hyams couldn’t think of a better reason to celebrate! With her Pie Contest in a Box, she gives you everything you need to host an all-American pie contest. The kit includes a contest handbook, badges for the pie judges (a job everyone wants! ), scorecards, and ribbons for the best-tasting pie. What I most enjoy about Pie Contest in a Box is that it honors the tradition of pie baking, allowing contestants not only to showcase their delicious creations, but also to share the stories that are associated with their pies. 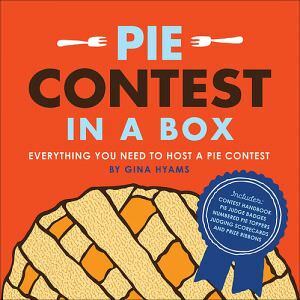 The kit’s accompanying book explains the importance of pie, saying that “Pie contests are a way for families and communities to unite on common ground. You might fight about politics or religion, but everyone agrees that pie is good.” The goal of this kit is supports Heirloom Meals’ mission because it emphasizes the community that food can build and the stories from the past that get shared along with it. Pie Contest in a Box is a way to honor friends and family members for their secret pumpkin pie recipe beyond your second slice at Thanksgiving. Gina sees food not only as nourishment, but as love, an emotion that is most easily communicated in offering forth a piece of pie.